Deeply perfumed nose, with notes of red berries, redcurrant and cherry. 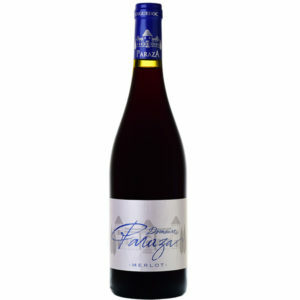 Round and soft tannins offering a beautiful and smooth expression of Grenache. Long and spicy finish. Deliciously pairs with a Charolais Tartar, a Tomme of ewe, or a dark chocolate cake. Parcel of the Saint-Michel, located on hill sides, altitude 120m.Land is basically limestone with pebbles dating back from the Pliocene. Harvested the first week of October; processed traditionally in concrete vats with control of temperature, daily pumping over and delestage: long post-fermentation maceration (2 to 3 weeks) to extract a lot of structure but not too many vegetal elements. Made to be enjoyed when its young, fresh and fruity.